About a month ago I signed up for Susie Burrell’s Shape Me weight loss meal planning service. I was hoping to find a program that I could recommend to my clients (they had been asking long enough). I kept it quiet because I am a natural sceptic and I wanted to completely check it out first. My plan was that if I didn’t love any part of the program, I would just keep silent about the whole thing and keep on with my search. To be totally honest that is exactly what I thought would happen. I have tried and failed many times before to find a great service to recommend and I believed this would be the same old thing. I think you can tell (due to the fact that you are reading this now) that I LOVE the program. It is everything I was hoping it would be and more. Very user friendly. I am not techy at all and I had no problem navigating my way around. A Swap this meal function. Don’t feel like the beef stir-fry for dinner tonight? No problem, you can swap it with 100’s of other choices at the click of a button. I love this so much. No need to be absolutely perfect in order to achieve realistic weight loss results. Having some quick and convenient take away options is priceless. My lunch today was 2 chicken skewers and a greek salad from my local take way shop. Sweeeeet. Dietary preferences. You can customise the plan for Gluten free, vegetarian, insulin resistance, egg free, dairy free, nut free, vegan, low FODMAPS. I ticked the plan for insulin resistance. I believe that we should all be eating to manage our blood sugar levels whether we have IR or not. You can ask Susie a question at any time. I did this a couple of times and received a personal answer back within 24 hours. Daily emails to keep the plan front of mind. I loved these, they were short and simple with some fit tips and advice too. But if daily emails are not your thing, you can change that too. Easy to print out meal plans and individual recipes. Normal family meals like cheesy lamb cutlets (to die for), sausages with mash, fish and chips, just to name a few. Simple and easy to make recipes. No weird ingredients that you have never heard of. You can print off shopping lists. I never got around to being that organised, but the option is there for those of you who are. You can pick your start date. If you sign up but you are not quite ready to start, you can choose a date in the future so that you have some time to get organised prior. Those of you who know me, know that I am big on teaching the WHY of fitness and fat loss, not just the HOW. There could have been a few more lessons on the WHY in my personal opinion. But as stated above I am being very picky. Susie has 100’s of blog posts on her site, it could have been helpful if some of those were included in the daily email prompts. Of course you could always check out any number of my free articles too. 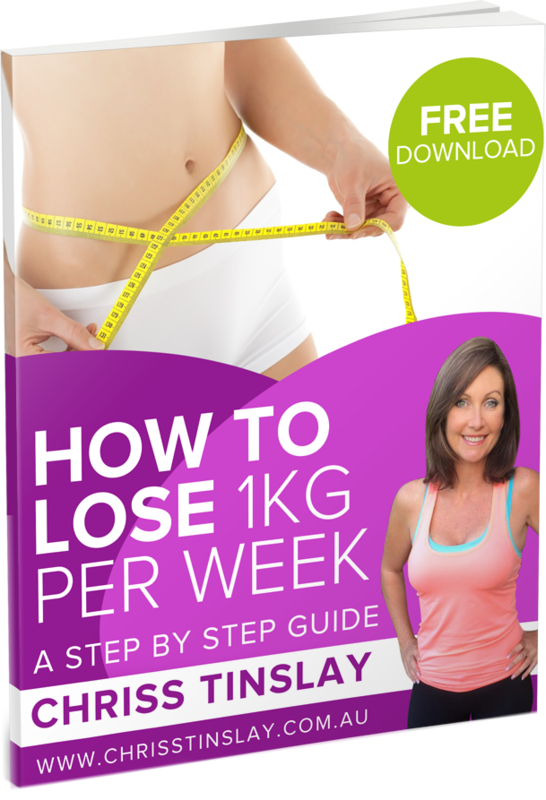 Maybe starting with THIS ONE – How to lose weight. A step by step guide. There is a community forum aspect included in the program. However, as previously mentioned, I am not techy at all and I didn’t love or use this forum. I like a Facebook group personally, but each to their own. Just my personal opinion. 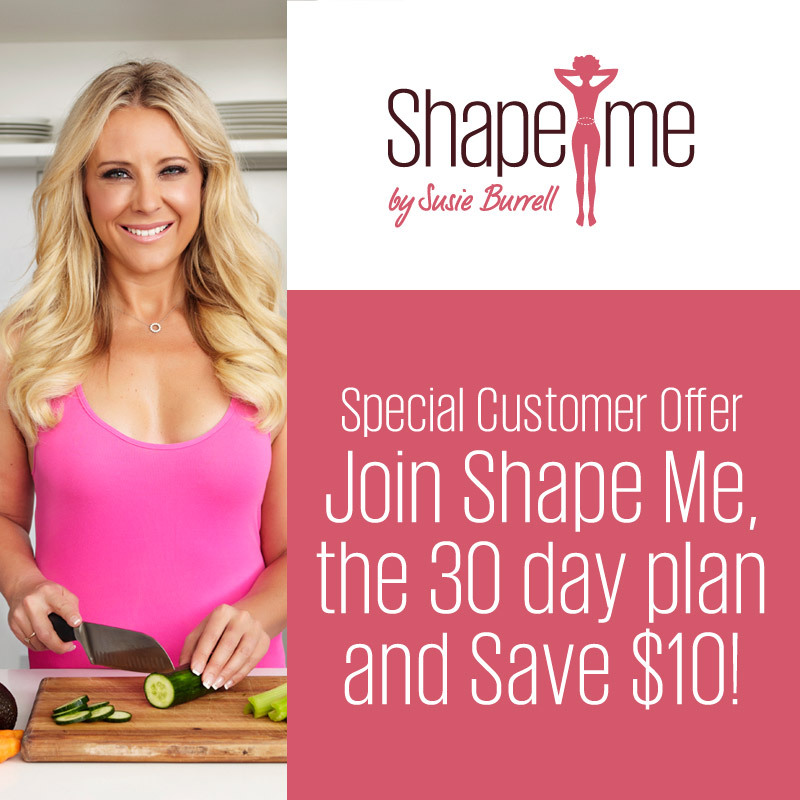 Shape Me, a weight loss meal planning service that can be tailored just for you. Did I mention the discount? Susie has been kind enough to offer my clients a $10 discount on the service. Normally $99 for 30 days of meal plans, but $89 for us (YAY). Honestly this is a bargain in my opinion. If you struggle with what foods and meals to include in your weight loss plan, then this is just what you need and more. What are you waiting for? Join the meal planning service and start losing weight today. She quickly went on to become qualified and registered as a Master Trainer with Fitness Australia. Chriss has now helped 1000’s of people transform their bodies and lives. 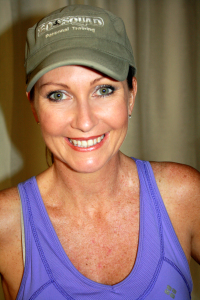 She now runs regular face to face and online fat loss coaching programs.